Robert William Gary Moore (4 April 1952 – 6 February 2011), was a Northern Irish musician, most widely recognised as a singer and guitarist. 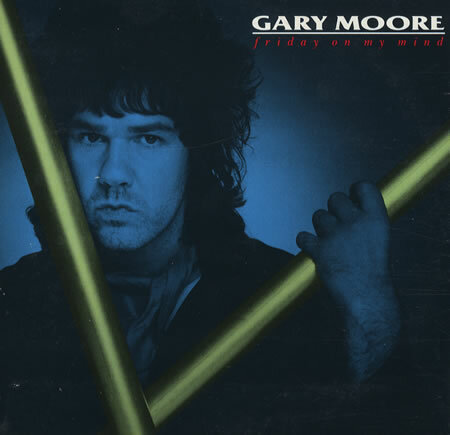 Wild Frontier was the eighth studio album by Gary Moore, released in 1987. His first studio album after a trip back to his native Belfast, Northern Ireland in 1985, this album has several songs about Ireland and even the music itself is steeped in Celtic roots. The title track was intended to be sung by Phil Lynott, however Lynott’s death in January 1986 prevented that. The album is dedicated to Lynott’s memory, with the words “For Philip” on the rear cover. Wild Frontier contains the hit “Over the Hills and Far Away”, which reached #20 in the UK as well as a cover of the Australian band The Easybeats’ hit of the middle of the 1960s, “Friday on My Mind”. Mixmaster Phil Harding provided the Kool Rap Version on the 12″ single.